Honey restores moisture and shine to damaged hair. Hair is fragile stuff. 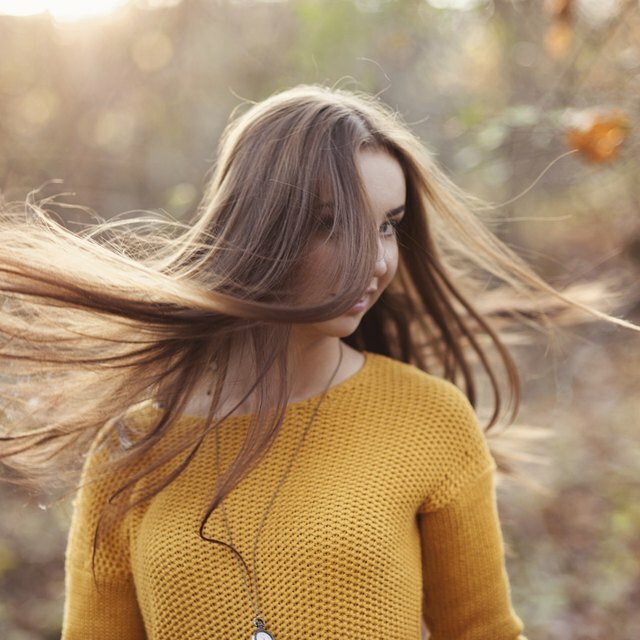 Heated styling tools and elaborate chemical processes deserve much of the blame when hair looks dry and frazzled, but exposure to sun and wind, frequent combing and brushing, and even friction caused by wearing hats and scarves all take their toll on the delicate strands. Severely damaged hair requires time and extra care to restore the natural shine and volume. At-home treatments help accomplish this goal without breaking the bank. Rich in vitamins, antioxidants and natural moisturizers, a monthly honey conditioning treatment restores beauty and shine to damaged hair. 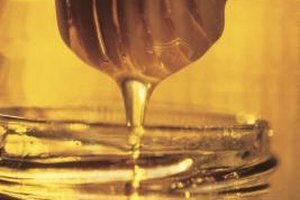 Plain honey, warmed in the microwave and massaged into the hair, is enough to revitalize damaged hair. Let the honey remain in your hair for about 20 minutes before rinsing with lukewarm water. If warm honey is too thick or gooey for your liking, thin it out with a small amount of olive oil. You can also mix in an egg yolk, which helps restores protein to the hair. Added to various home hair treatments, eggs provide generous amounts of protein and natural fats. For dry, brittle, damaged hair, egg yolk is best, while egg whites are best reserved for oily hair. Massage the yolk through the hair after shampooing, then let it sit for 20 minutes before rinsing with cool water. To make a deep conditioning treatment, combine eggs with olive oil. Rub the mixture into your hair and wrap your head with plastic wrap. Let the conditioner work for 10 minutes, then rinse with. Mashed avocado provides a boost of moisture for damaged hair. Although avocado does a great job on its own, you can amp up the moisturizing effects by adding extras such as mayonnaise, egg yolks, olive oil, coconut milk, full-fat yogurt, sour cream or cream. A handful of uncooked oatmeal is an added bonus for dry, damaged hair. Work the mixture through damp hair and seal in the moisture with a shower cap or plastic wrap. Relax for 30 minutes, then rinse with lukewarm water. Vinegar may seem harsh, but it strips shampoo buildup and helps restore the hair’s proper pH balance. Make an after-shampoo hair rinse by boiling apple cider vinegar with a handful of dried rosemary or thyme leaves. Let the mixture cool, then pour it through a strainer and store it in a glass bottle or jar. If you like, you can add two or three drops of rosemary essential oil for extra moisture and pleasant aroma. If you’d rather keep things simple, a solution of equal parts vinegar and water will do the trick. Either way, pour the vinegar rinse through the hair and let it sit for a few minutes before rinsing.